When my friend Doris and I were house/dog-sitting in Madison, NJ (http://www.americantowns.com/nj/madison/organization/borough_of_madison/), we took a day trip to the Stroudsburg, PA, area. First we explored Buskill Falls (http://www.visitbushkillfalls.com/index.php) and later lunched at Dansbury Depot in Stroudsburg. 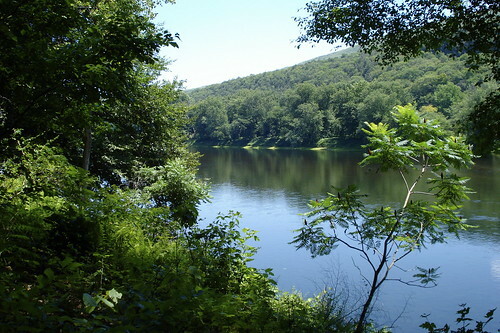 Click on any photo in this post to see a slideshow of the Buskill Falls and Delaware Water Gap NRA. Use your browser’s back arrow to return to the blog. 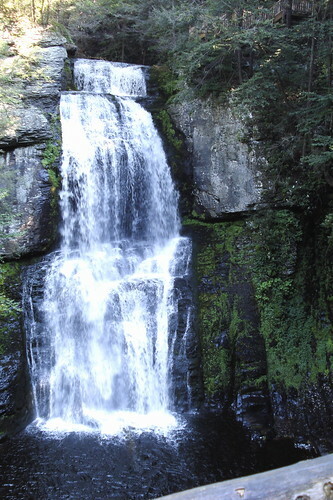 Main falls at Bushkill Falls. In the afternoon we hiked a trail at a nearby area of the Delaware Water Gap National Recreational Area (http://www.nps.gov/dewa/). After lunching with Doug and Jennifer on Wednesday (6/25), Doris and I arrived in Madison, NJ (a lovely small town less than 25 miles from Manhattan) on Friday afternoon after a side trip on Thursday to an AAA Gem-rated attraction in Pittsburgh, the Phipps Conservatory and Botanical Gardens. I’ve toured several conservatories and botanical gardens around the country and this one was outstanding. 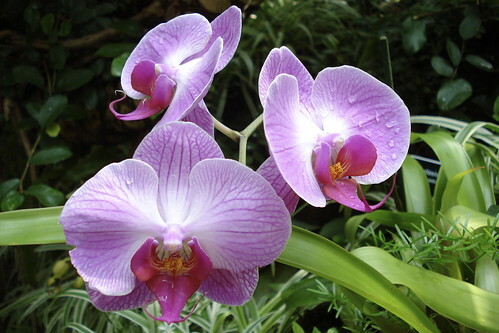 Click on the photo to see a slideshow of sights at Phipps Conservatory and Botanical Gardens. Use your browser’s back arrow to return to the blog. One of the beautiful orchids at the Phipps Conservatory. Although this is my first post, I want to share one aspect (I’ll share more later) of a trip to the American Society of Indexers national convention in Philadelphia in May 2007. 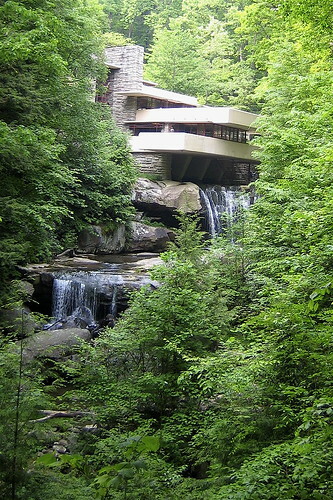 On our return trip to the Cincinnati, Ohio, area, my traveling companions and I veered off the interstate to see Fallingwater, a Frank Lloyd Wright designed home in southwestern Pennsylvania. According to visitPA.com Fallingwater is “…the only remaining great Wright house with its setting, original furnishings, and artwork intact.” Click on the photo to see more of Fallingwater’s details.